What was Gillette thinking about? The advertisement of Gillette is in plain words Jingoistic. It is playing to the most basic sentiments of the people. Most of us understand that cricket is just a game. We also realize that cricket is not war and yes we enjoy winning and winning against Pakistan is Sone-Pe-suhaga. But that is where the buck stops or should stop. Playing and wining against Pakistan is not winning a war with our neighbors. Nor it is a war against the Muslims of Pakistan or to that matter Muslims of any county including India. That is why the Gillette advertisement is cheesy and so much off the mark. The advertisement too seems to be made in a hurry. The stubble is green in color. Why green? Does green mean Pakistan? And prey why green (the usage of green is not an accident). Green is the predominant color in the flag of Pakistan. 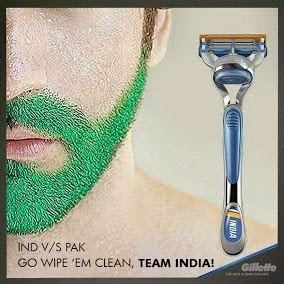 So Gillette wants Indian Cricket team to “Wipe, them clean”. As if taking the dirty stubble off. And what does Gillette want to achieve. That too only for a cricket match. Is it not thinking about the millions if not crores of Indian consumers that it is antagonizing apart from the millions and crores of Pakistani and other country citizens? Gillette needs to think many times before biting this genre silver bullet. This is one bullet that could back fire, hurt and injure the shooter – Gillette itself. What started out as a lark went horribly wrong. The world is tuned to FIFA world cup and Dutch Airlines thought that they would cash in. And cash in they did - After the match between Netherland and Mexico (which Mexico lost) they sent out a twitter feed. The twitter feed had a picture of an Airport departure sign under the heading 'Adios Amigo'. And next to the word departure was an image of a man with a mustache wearing a sombrero (Mexican hat). The twitter went viral and Mexicans hated it. A Mexican actor promised that he would never fly Dutch airlines. And rubbing salt into the wound he told his 2 million followers to do the same. 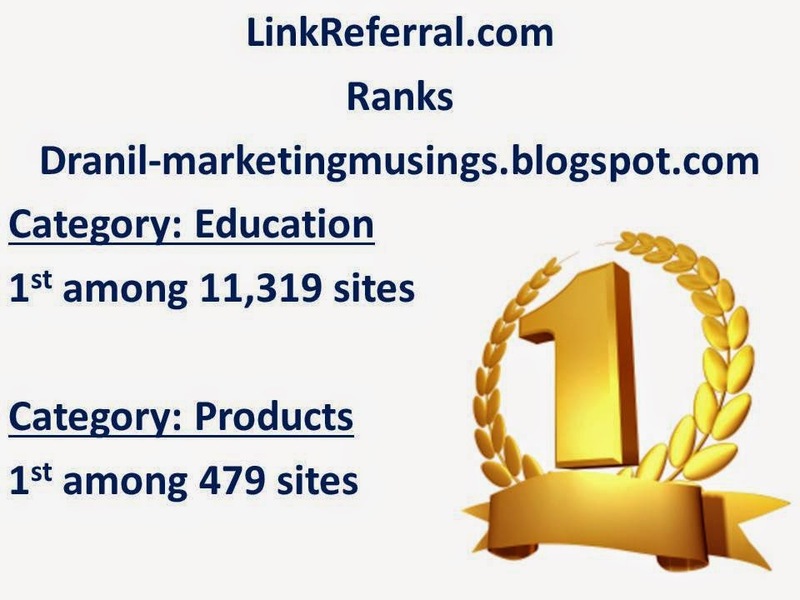 Seeing the alarming negative reaction the post was pulled off the net half an hour later. The issue became prickly and later in the night KLM issued a formal apology. The lesson is very clear. Do not indulge in something that is sensitive and where by celebrating only with one set of people you would hurt the sentiments of the other set and as a company you want to be in the good books of both sets of the people. What is Sunshine thinking? It is a corporate hospital. 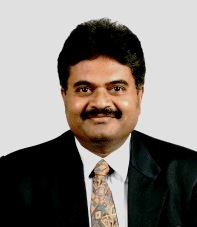 It would need the patronage of people from all parts of Andhra Pradesh and Telangana. By supporting the division are they not antagonizing the vast majority of Andhra people living in Hyderabad? They might win the confidence of the Telangana people, but are they not losing the trust of the Andhra clientele. As far as I am concerned it is was a absolutely zero sum game. Sunshine hospital has to realize it is better to be silent rather than to put up advertisements that are controversial. It is better to be safe than to be sorry. As if to make amends Sunshine put up another advertisement. 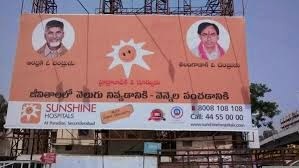 The advertisement says 'one moon for Andhra Pradesh' (Chandrababu Naidu the chief Minister) 'one moon for Telangana' (K. Chandrasekhara Rao). Chandrudu in Telugu means moon. 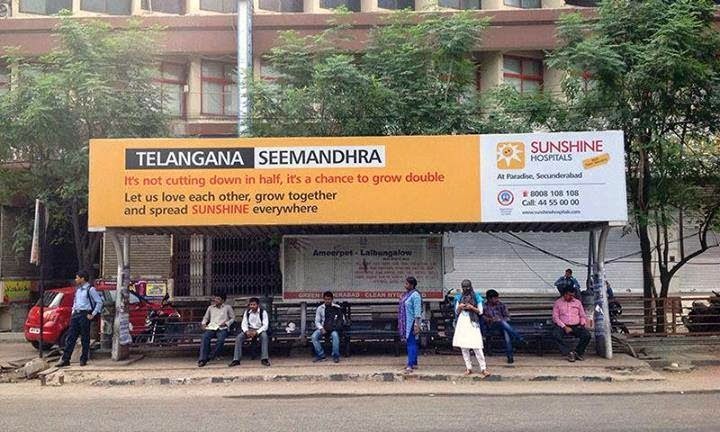 The advertisement goes on to say ‘one sun for Hyderabad’ that is Sunshine Hospital. A sunshine hospital is being too clever for its own sake. First it supports the division and then it tries to appease the Andhra Pradesh clientele with another advertisement. It is just trying to be safe. This way I think they would have lost the confidence of both the clientele; Andhra Pradesh with the first advertisement and Telangana with the second one. It is caught between a rock and a hard place. Time Sunshine Hospital does focus groups interviews to avoid such controversial advertisement campaigns.